Building Bridges Providence is a part of a city wide coalition of community organizations and concerned citizens who believe that the Fane Tower should not be built at its currently planned location, know as Parcel 42. 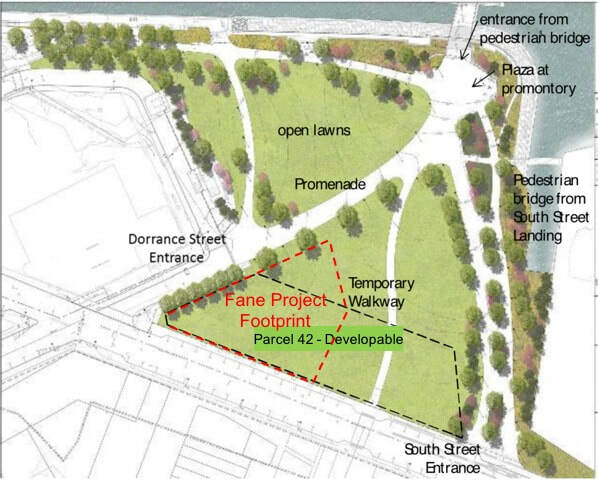 The Fane Tower will not only reduce the size of our waterfront park, it will prohibit access. Development provides jobs for our construction unions. We want the investment in Providence. We want to increase the tax base of Providence. We want development that respects the City Comprehensive Plan and Zoning. Mr. Fane, we support you building in Providence, But we want you to build where your project can adhere to our Comprehensive Plan and Zoning. That means, a 100 foot tall structure on P42 or a taller structure on one of the many lots that are zoned for taller structures downtown.